At Norbury Park Sawmill we provide a range of timber services and products designed predominantly for the building, restoration and specialist trades. We operate two industry leading saws in the yard. The largest is a diesel powered Forester 150, which cuts trunks up to 6ft in diameter and 32 ft in length. 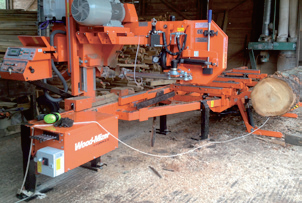 The second saw is a state-of-the-art electric (3 phase) Wood-Mizer LT70. This is our workhorse saw which, in the hands of our highly skilled Sawyer, accuarately cuts timbers to specific dimensions.